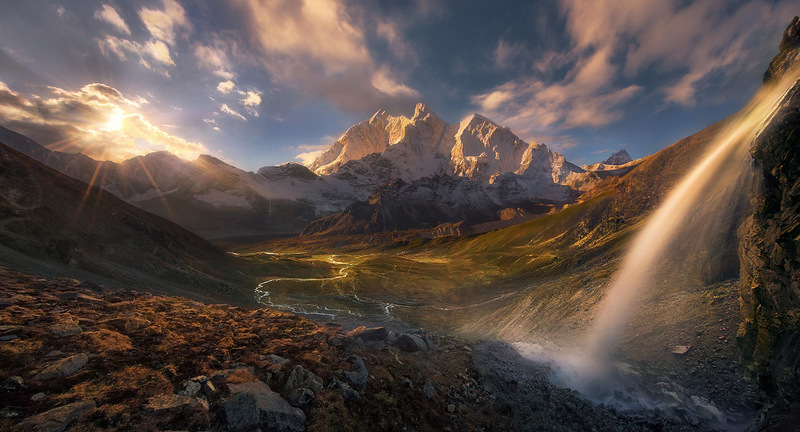 Through much effort, I climbed to this 100ft-high waterfall three different times at over 17,000ft in elevation to make the rendition I thought best encompassed this rare scene looking towards the rising sun and the massif of peaks below Makalu, the 5th highest summit in the world, in Tibet. . Photo © copyright by Marc Adamus.